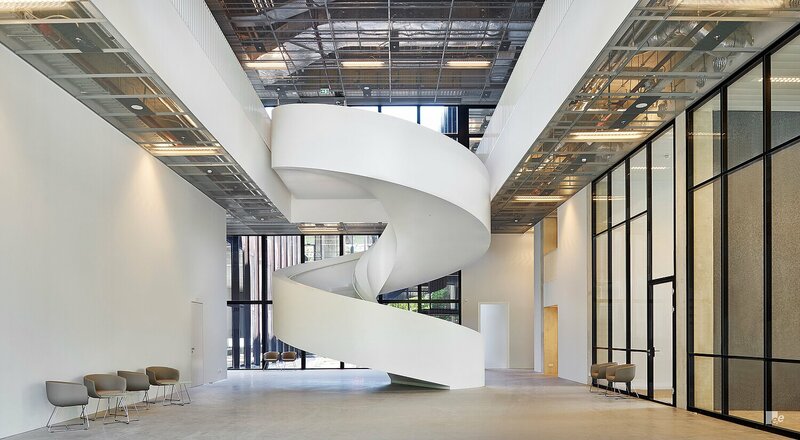 One of the Netherlands’ top universities, Tilbury University, required a large staircase for one of its key public spaces. A large full-turn helical staircase that reaches seven metres in height and has a diameter of more than six metres was designed by our team and constructed from the base up on-site. White is used throughout the staircase in-keeping with the building’s existing interior and it incorporates EeStairs’ EeSoffit finish, giving the staircase and glossy white appearance.